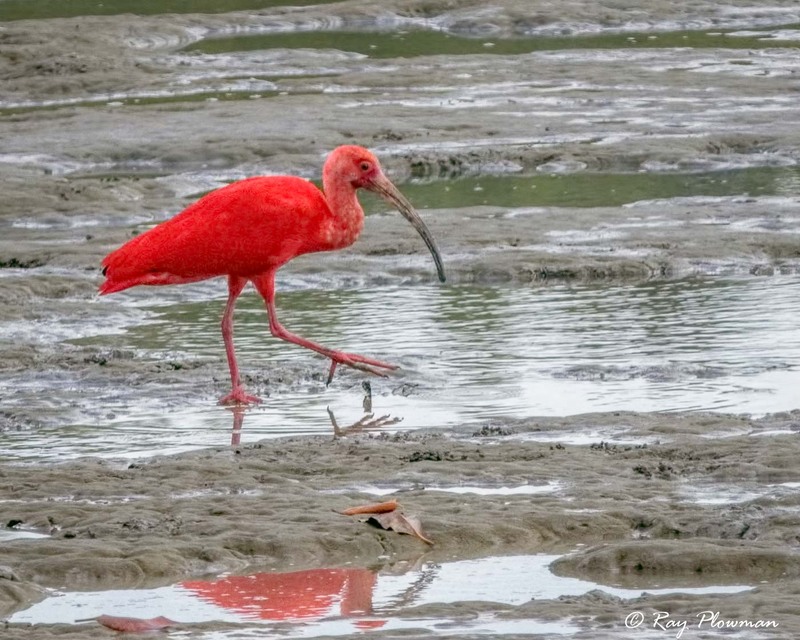 Pelicans and their allies are showcased in five galleries: (i) pelicans including storks and flamingos (ii) herons; (iii) egrets and bitterns; (iv) cormorants and darters; and (v) ibises and spoonbills. 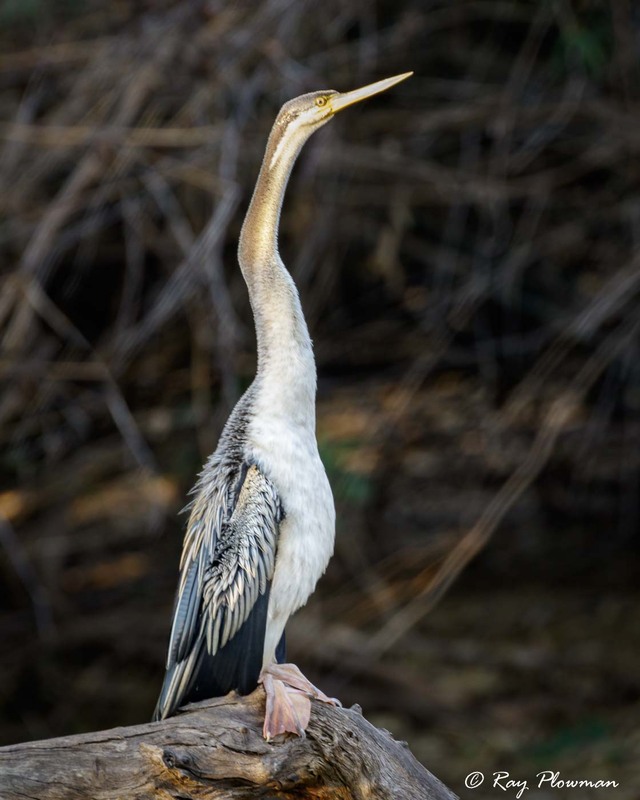 Pelicans and their allies belong to several different taxonomic orders and families, a note at end of this page refers. 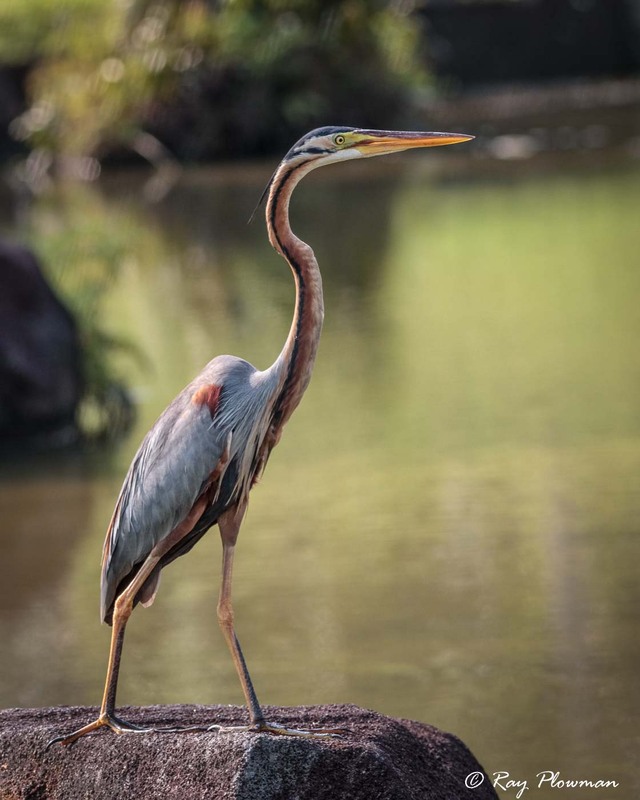 Images in the heron and egret galleries are grouped together by scientific genera rather than common English names, a note at the end of each gallery refers. 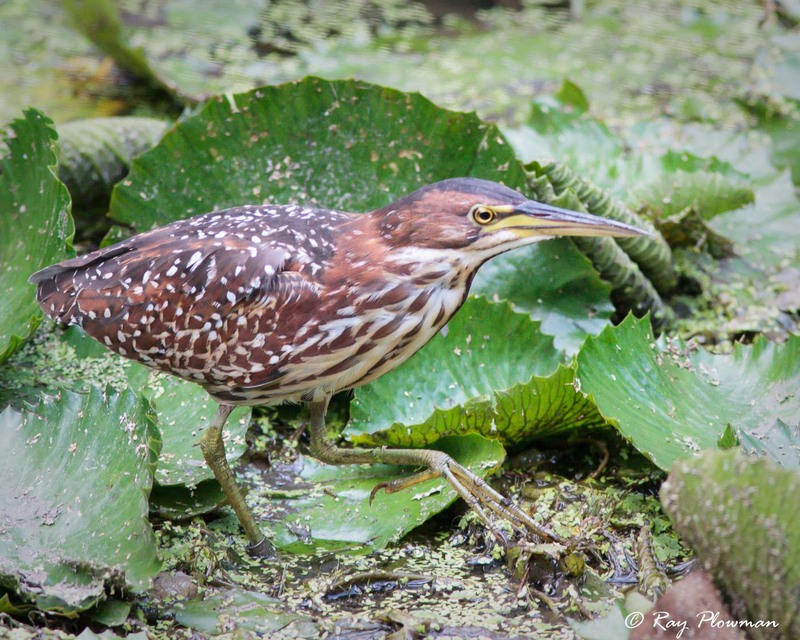 Galleries and those on the associated behaviours page feature birds photographed in wetland and coastal habitats such as lakes, rivers, swamps, mudflats and shoreline. 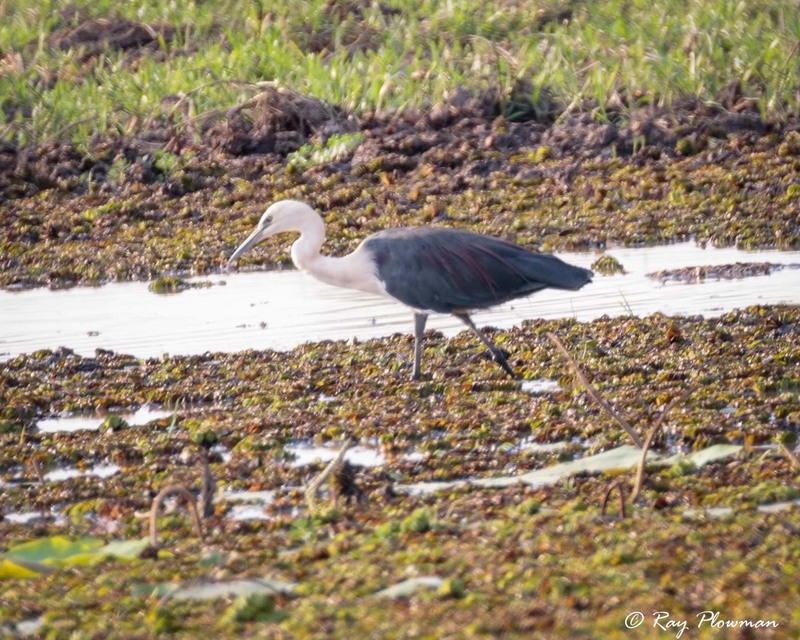 Apart from storks all other featured species are currently ‘Red List’ assessed as ‘Least Concern’. 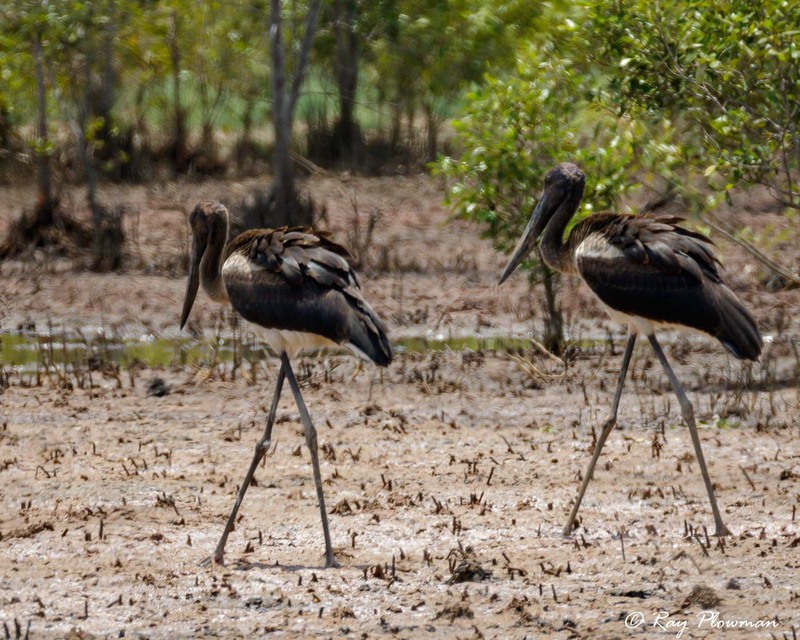 The black-necked and painted stork have been assessed as ‘Near Threatened’ and the milky stork as ‘Endangered’. 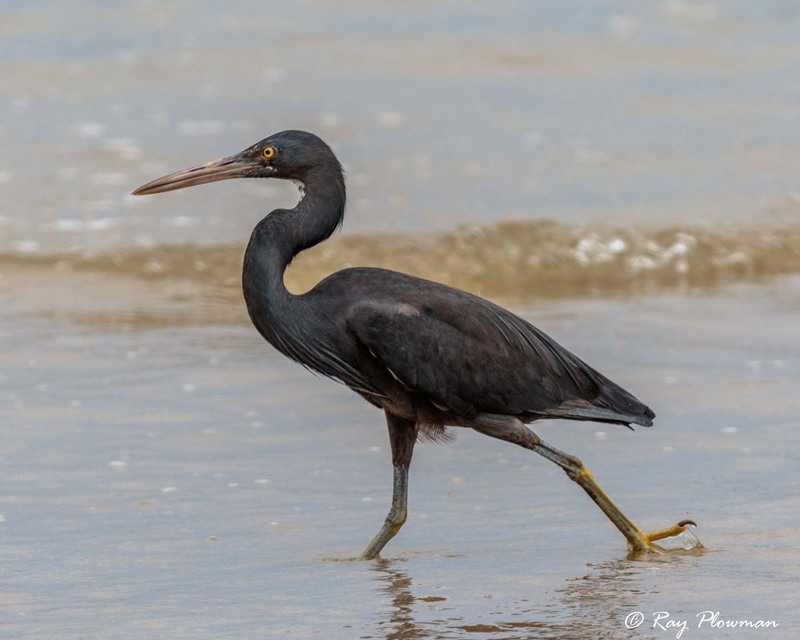 Images photographed in Australia, New Zealand, Singapore, Trinidad and France. 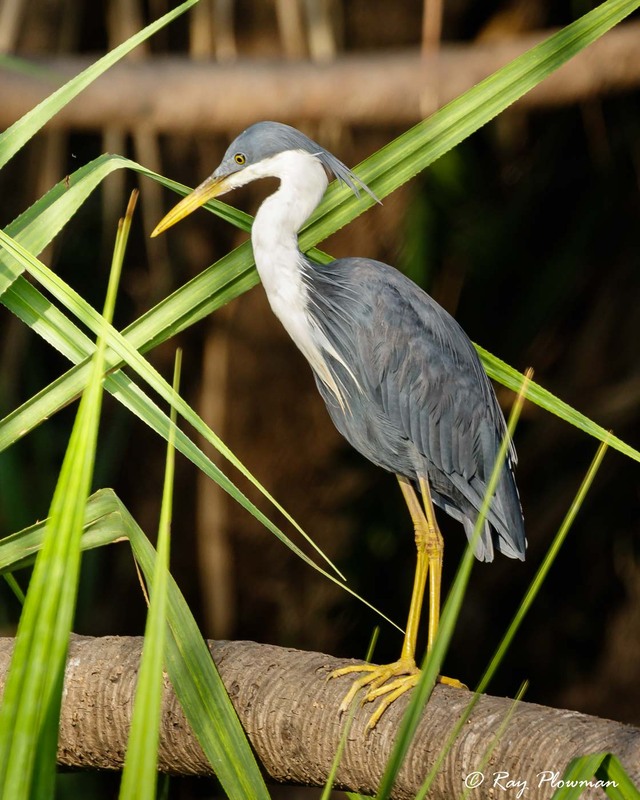 These species are amongst the largest waterbirds. 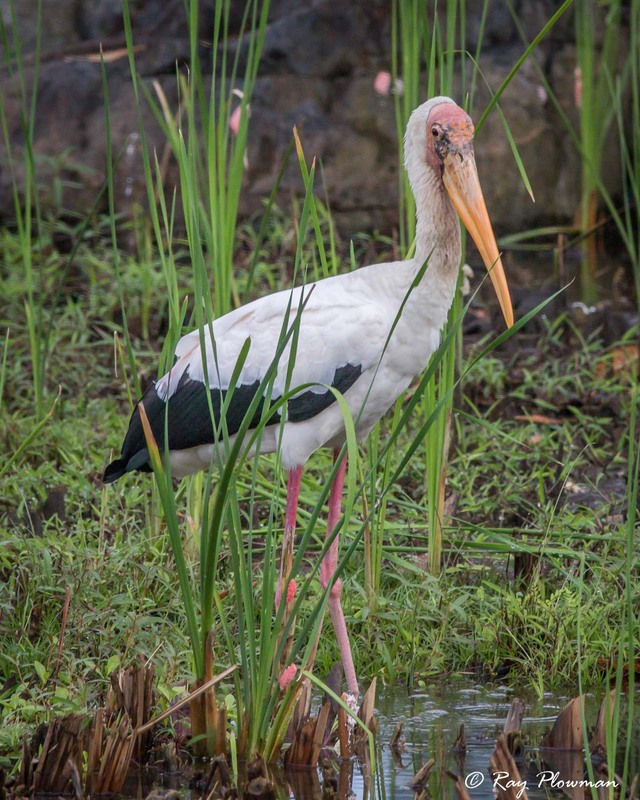 Both milky and painted storks have been sighted during the last few years in Singapore, mainly in the Sungei Buloh Wetland Reserve. 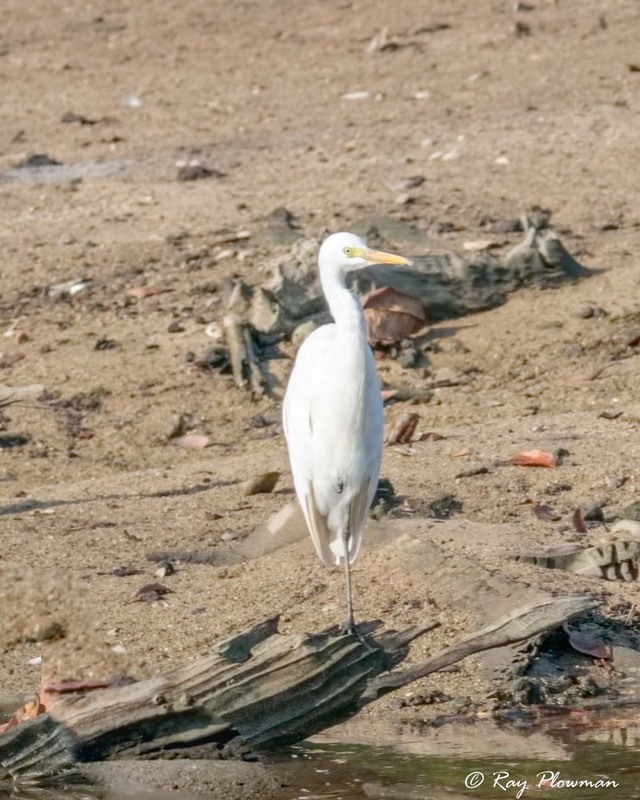 Their status here is debatable, they could be either vagrant or escapee. 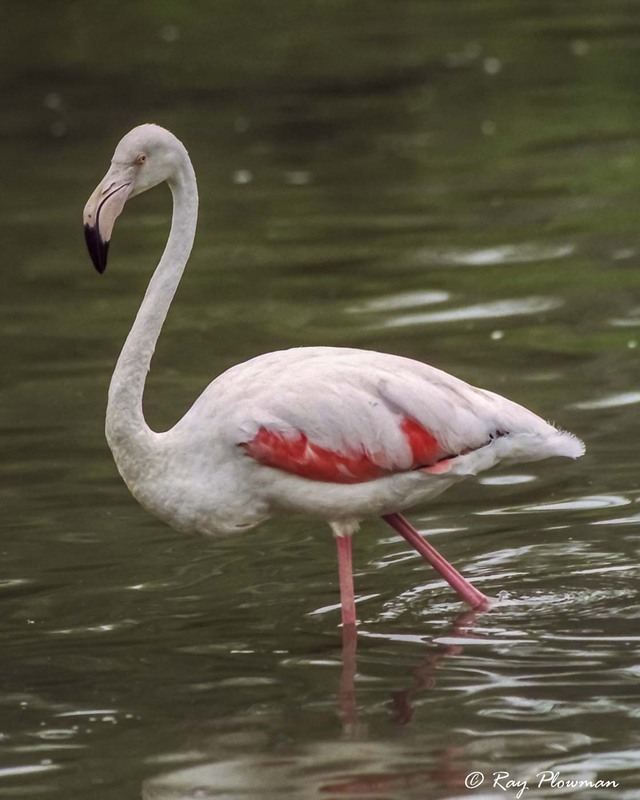 The IUCN lists them as introduced to Singapore and raises concerns about milky and painted hybridisation. 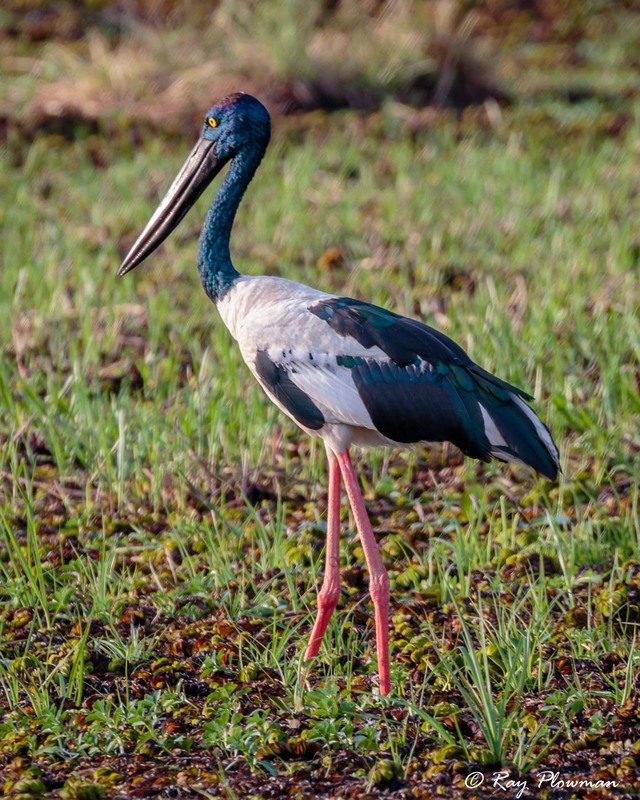 One of the distinguishing features of a painted stork is a pectoral band while milky storks have a black patch at the base of bill. 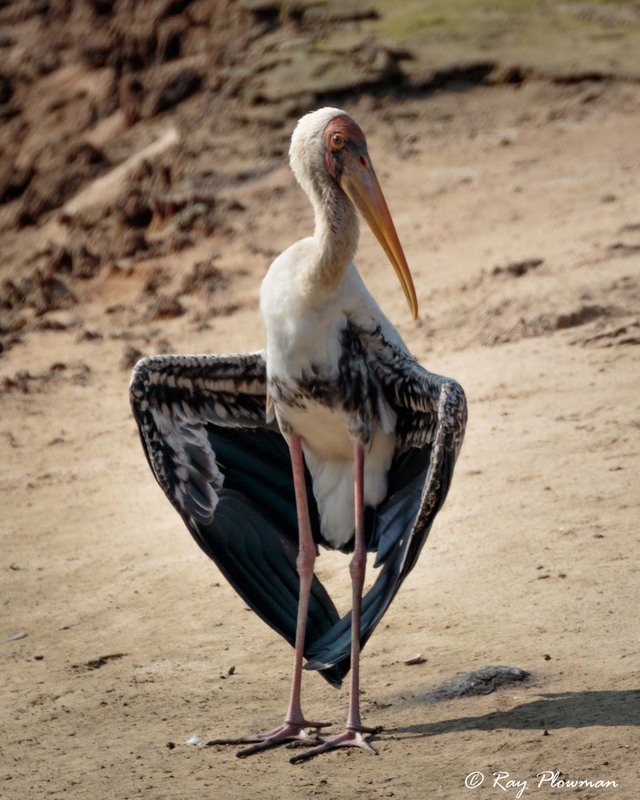 So, the painted stork displayed in the gallery may be a hybrid. 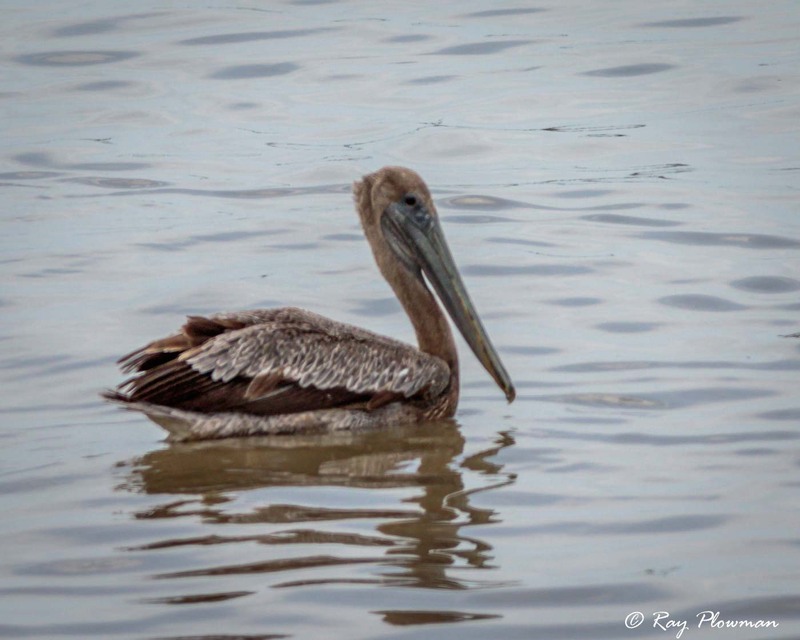 See Pelican and Allies Behaviours webpage for more images of possible hybrids. 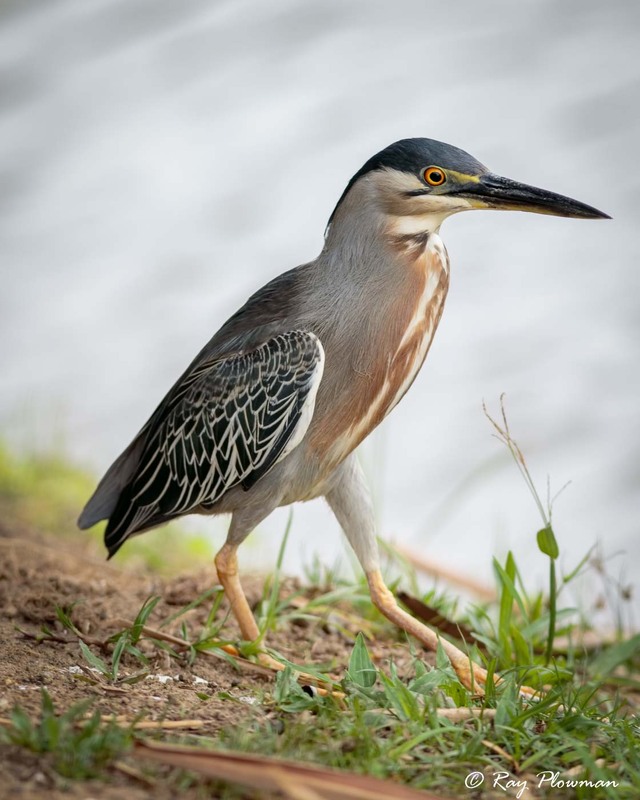 Herons are part of the Ardeidae family, several genera are featured in the gallery: Ardea (Herons), Ardeola (Pond Herons), Nyctanassa and Nycticorax (Night Herons) and Butorides (Green-backed Heron). 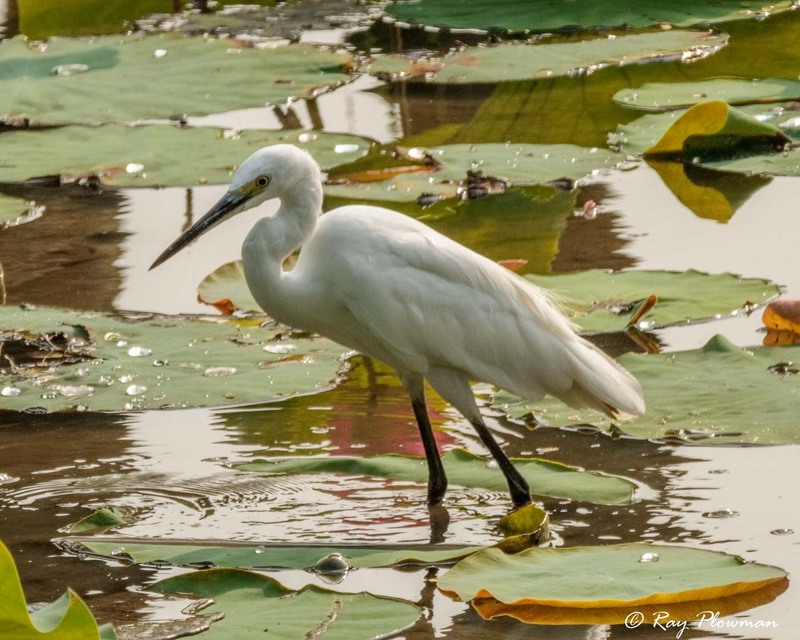 Egrets and bitterns are part of the Ardeidae family, two egret genera are displayed in the gallery: Bubulcus (Cattle Egret), Egretta (Egrets and Ixobrychus (Bitterns). 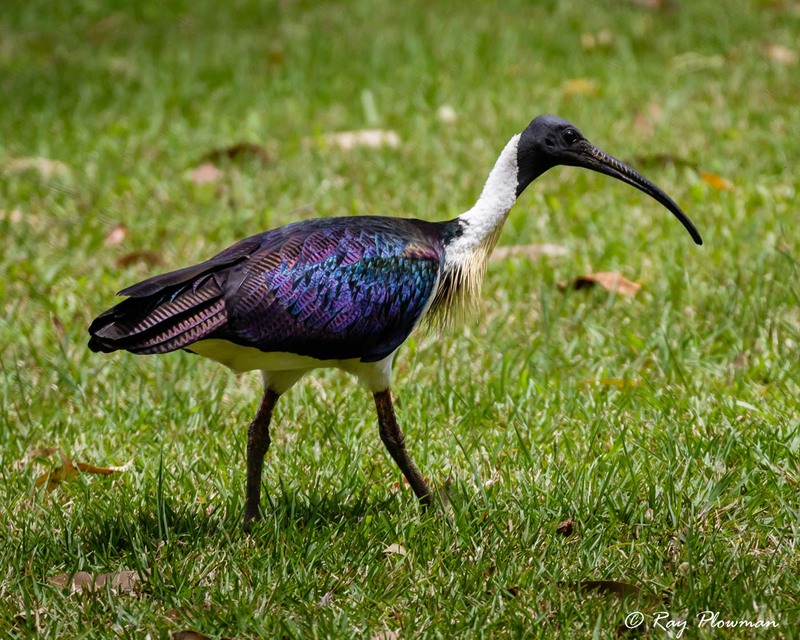 All species featured in the two galleries above are currently ‘Red List’ assessed as ‘Least Concern’. 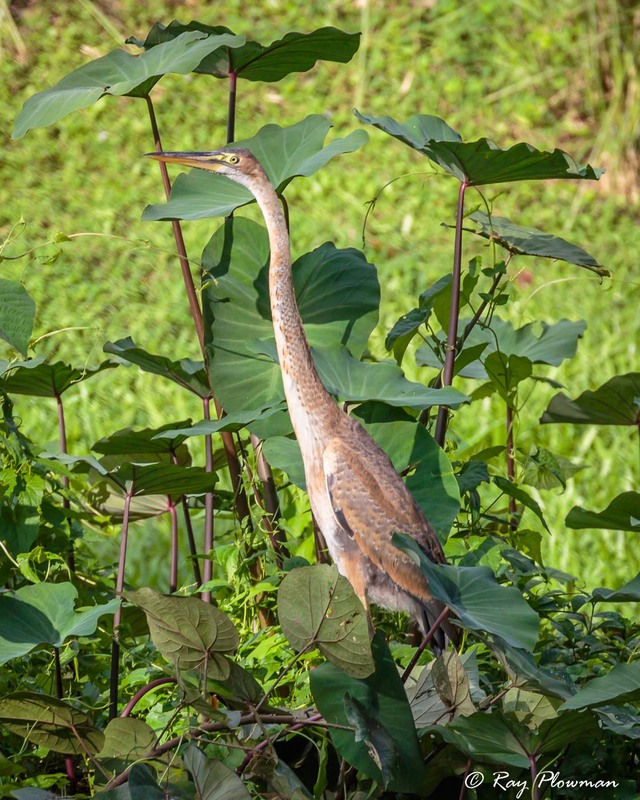 Photographed in Australia, Canada, Singapore, Seychelles and Trinidad. 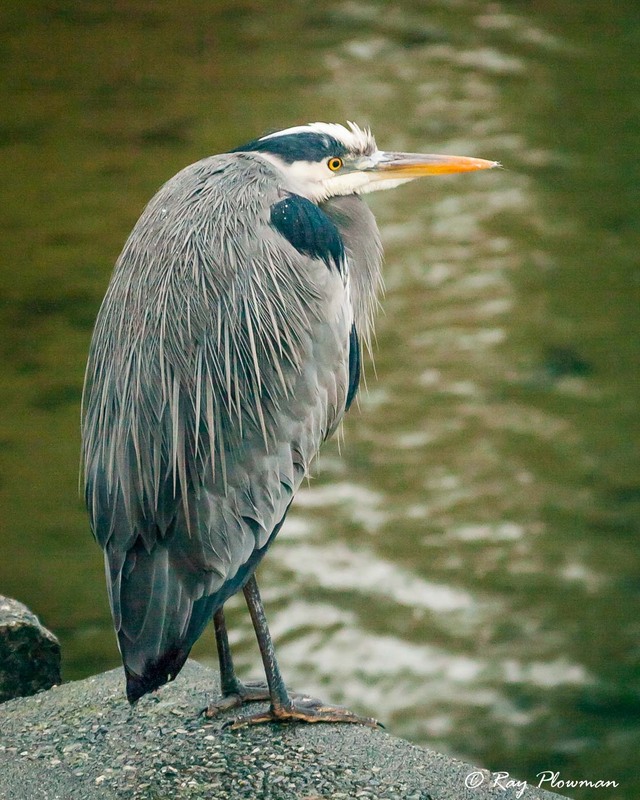 The heron family of birds range from medium to large, have long legs and necks relative to their bodies. 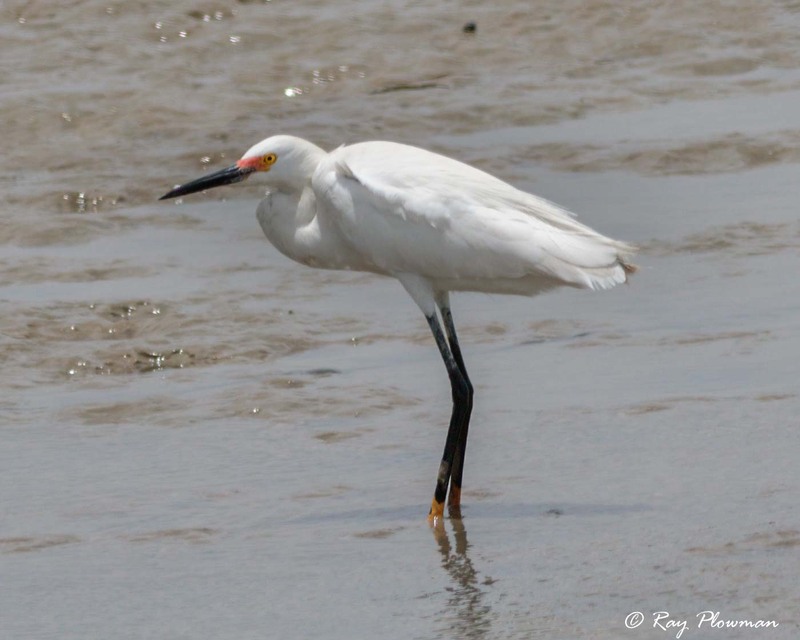 Their toes are particularly long helping them wade in mudflats or support on vegetation. 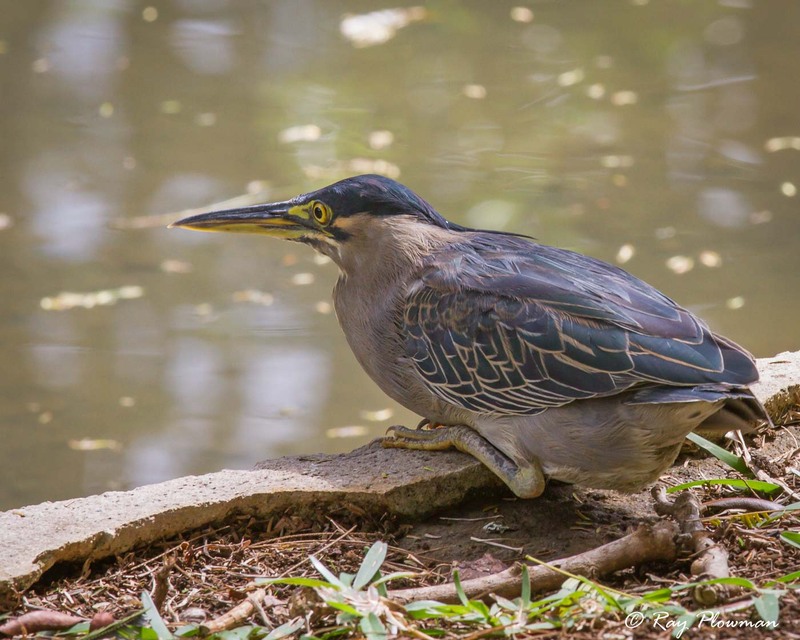 They prey on most aquatic food such as fish crustaceans, reptiles, amphibians and insects. 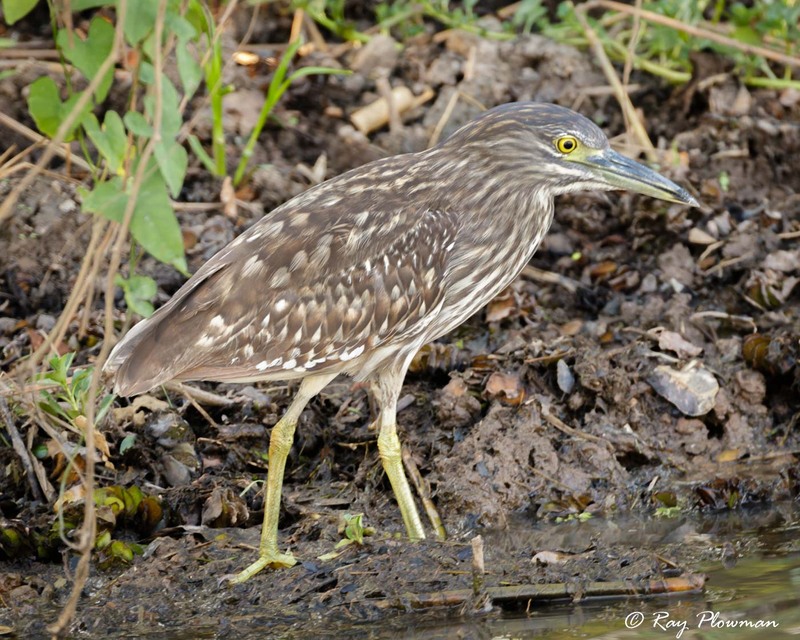 Some species are specialist hunters while others feed on a variety of animals and are often opportunists. 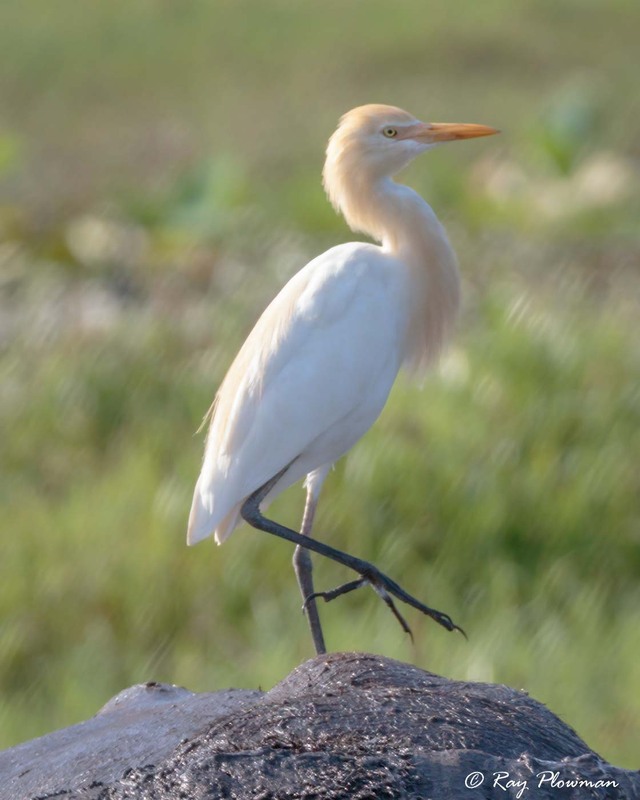 Herons and egrets are not generally sexual dimorphic although some species do exhibit size dimorphism with males being slightly bigger than females. 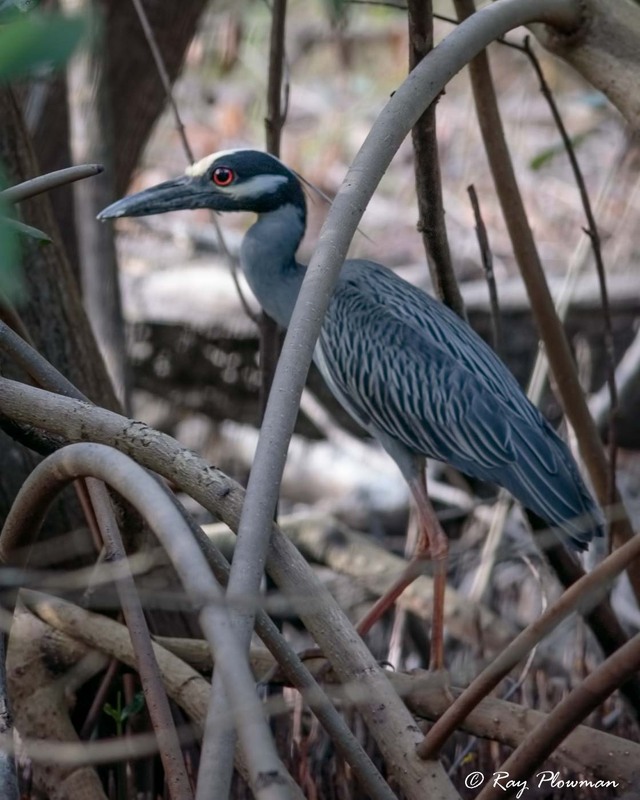 Both featured bitterns exhibit plumage dimorphism. 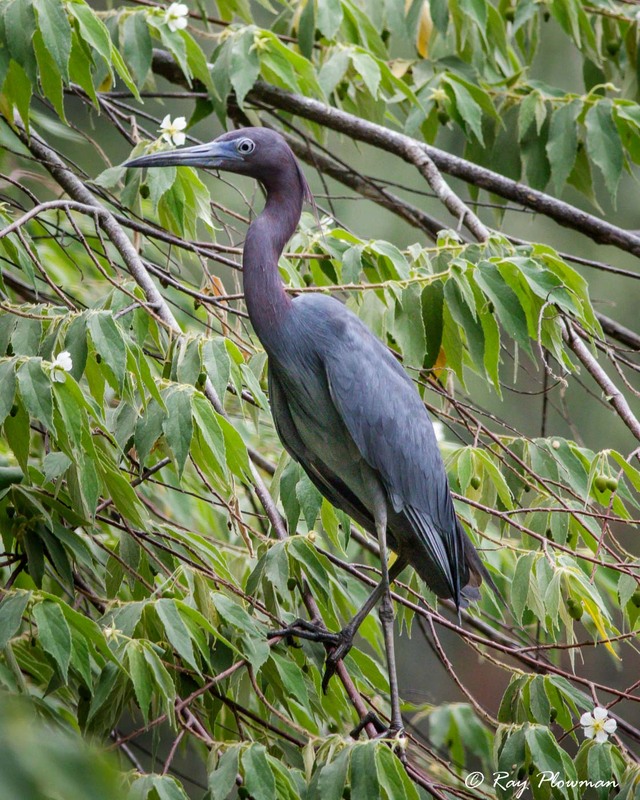 Some species also occur in colour variations; light and dark morphs, the great blue heron and pacific reef-egret displayed in the gallery are dark morphs. 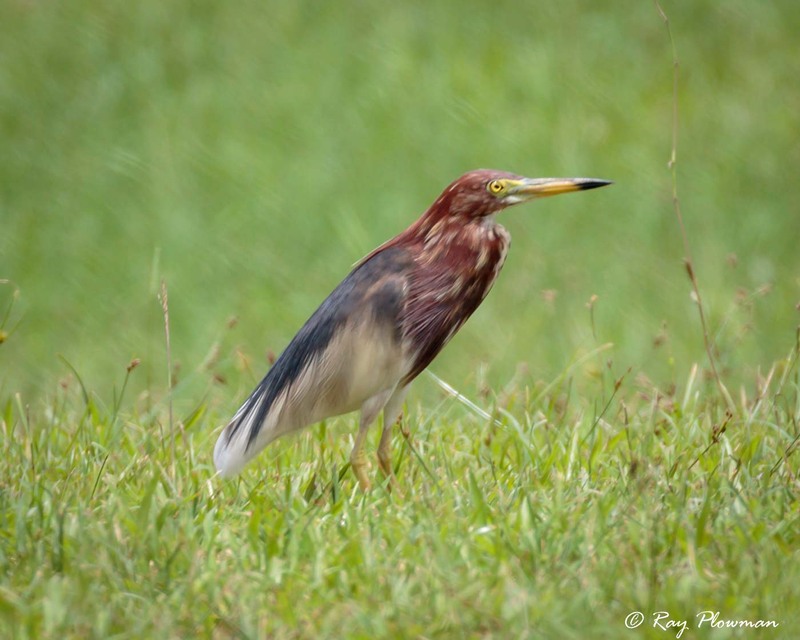 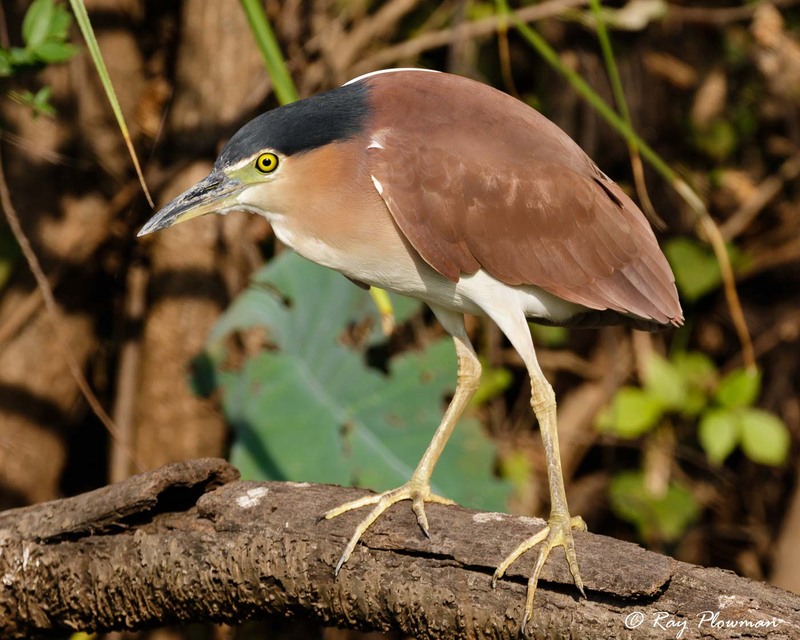 Both the pied heron and rufous night-heron feature adult and immature birds. 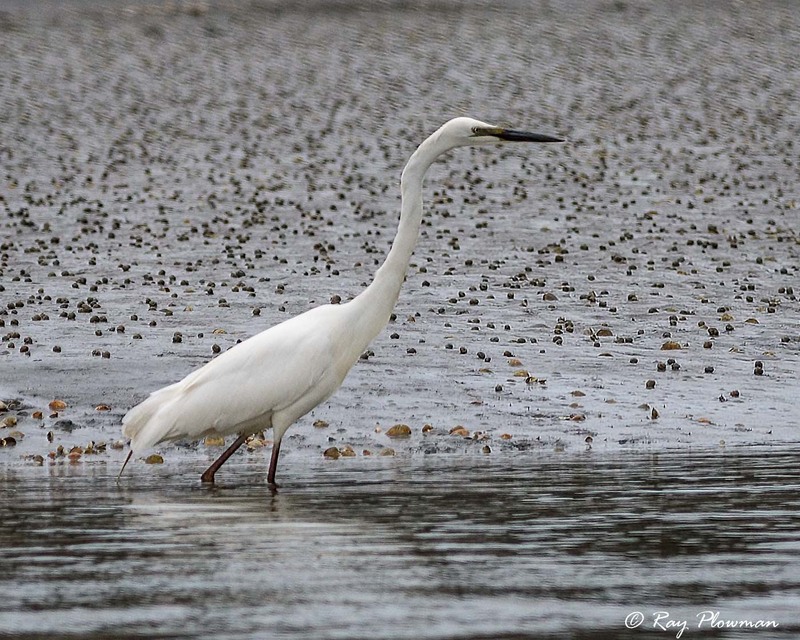 As well as nominate species many of the images are subspecies in the region where photographed. 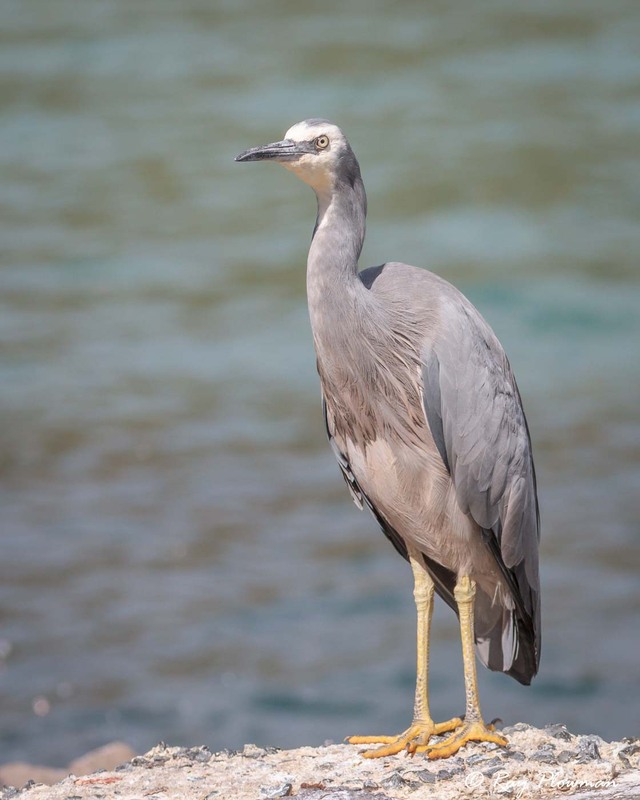 Grey herons (Ardea cinerea) have an extremely large range being a native resident in large parts of Europe, Africa and Asia. 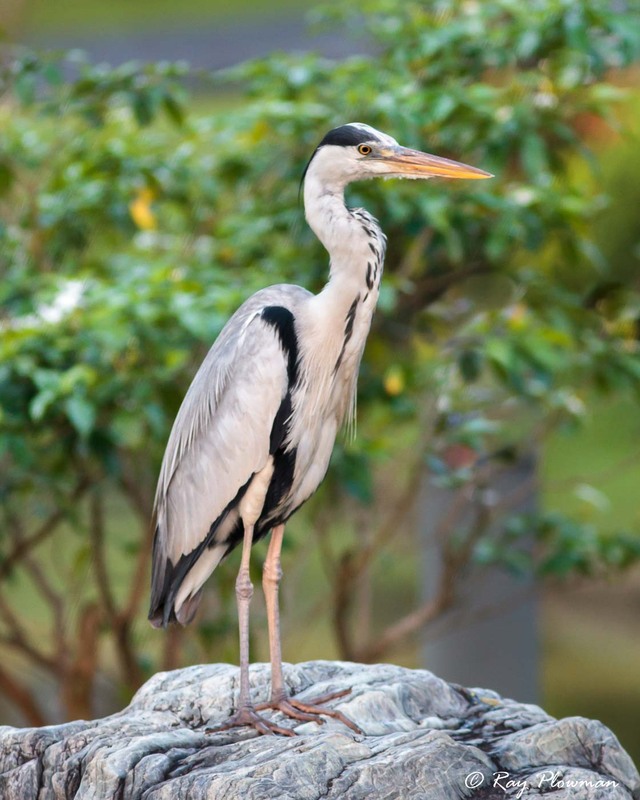 Two subspecies are displayed: A.c. jouyi a resident Singapore bird that has black streaks on the neck and some black on the wings, this distinguishes it from the nominate species Ardea cinerea found in Europe. 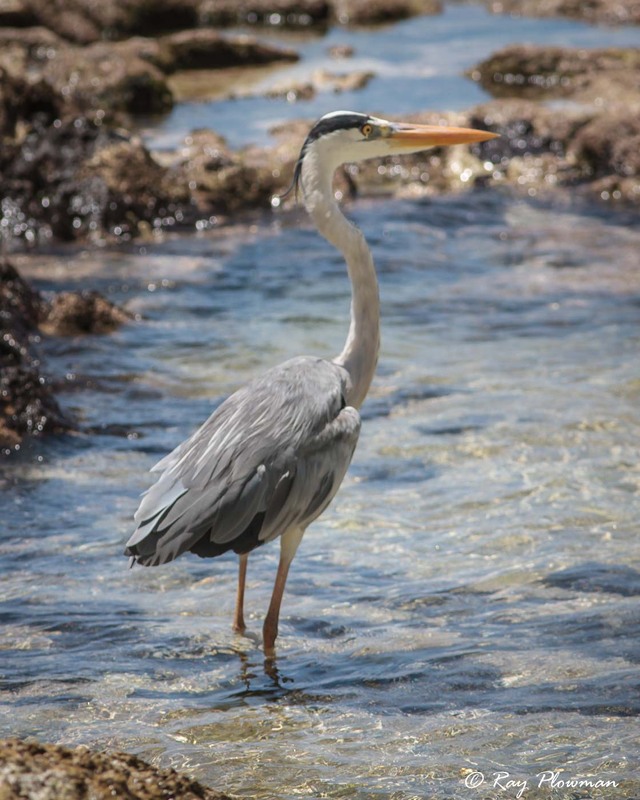 The image of the nominate species Ardea cinerea is depicted on a rocky shore in the Seychelles. 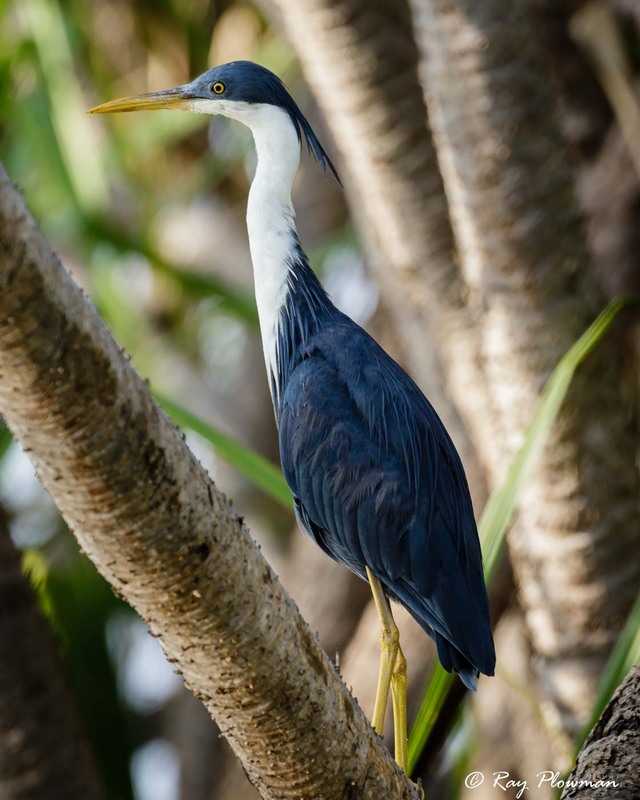 Green-backed herons have a global range mainly through the tropical regions and further north and south in America and Africa. 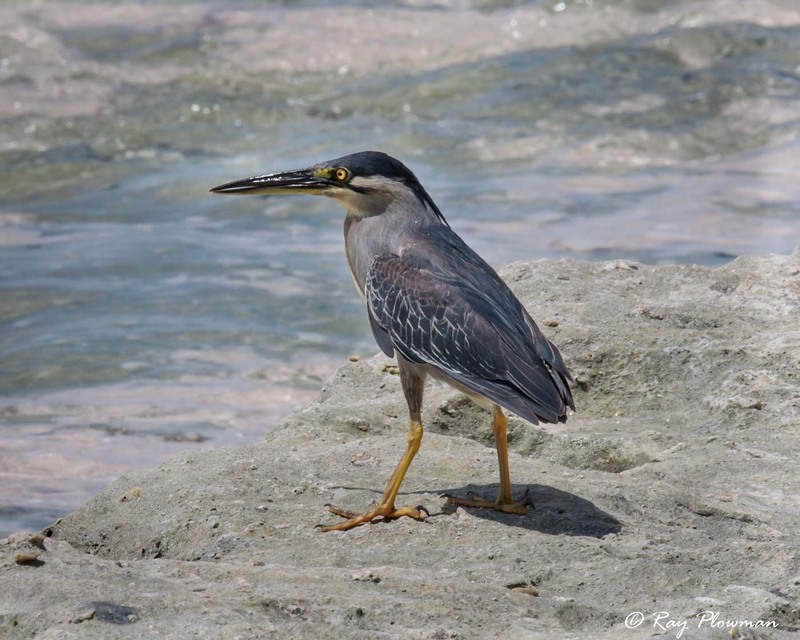 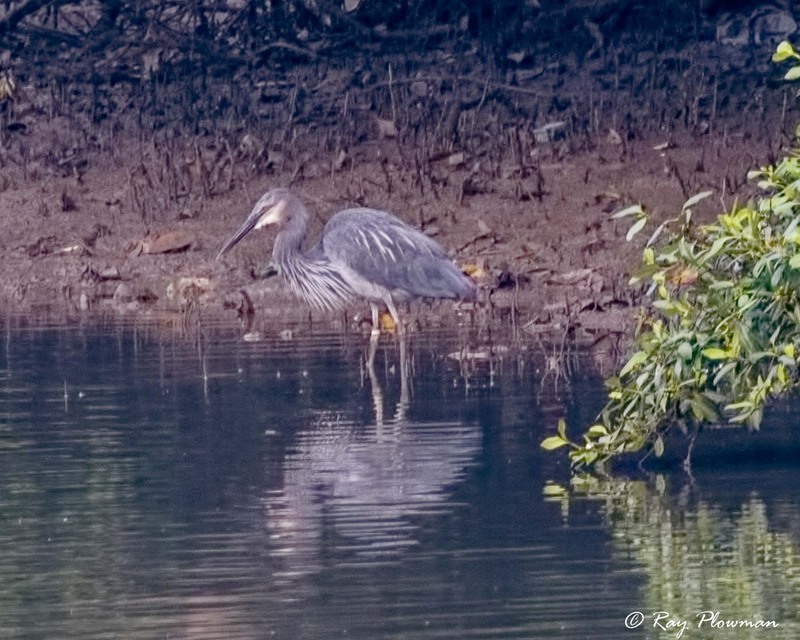 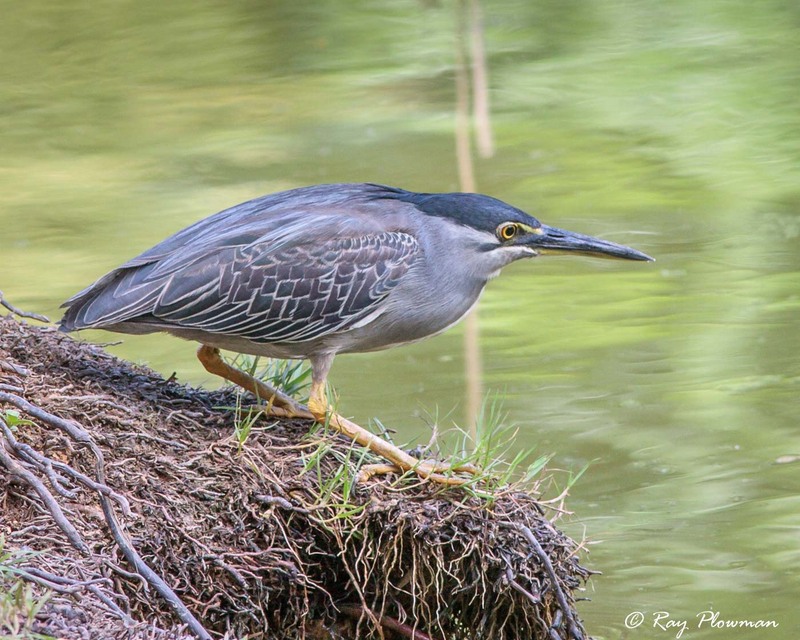 There are three subspecies groups: Green herons (Butorides striata virescens), striated heron (Butorides striata striata) and the Galapagos lava heron. 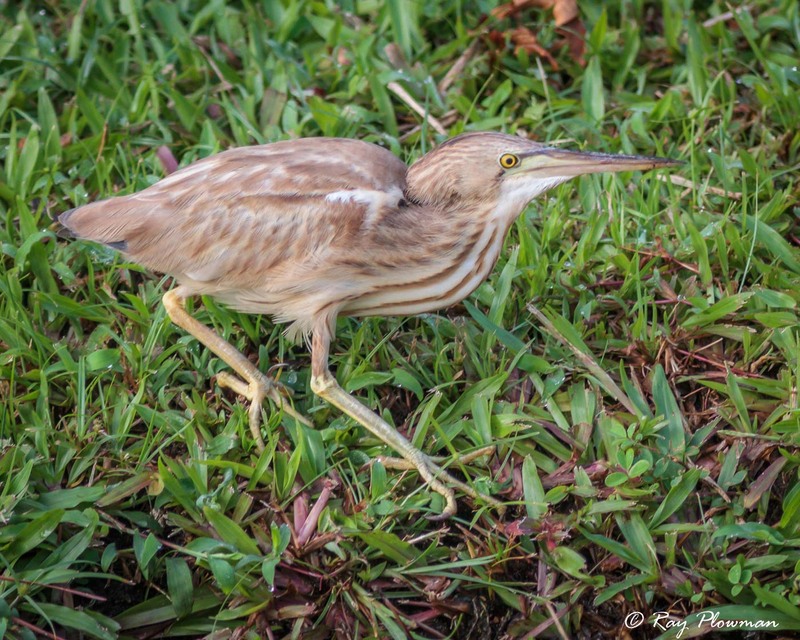 The gallery features striated heron nominate species, two subspecies and two rufous morphs photographed in Trinidad (nominate and rufous morph), Singapore (ssp javanica), Mauritius (ssp javanica rufous morph) and Seychelles (ssp degens). 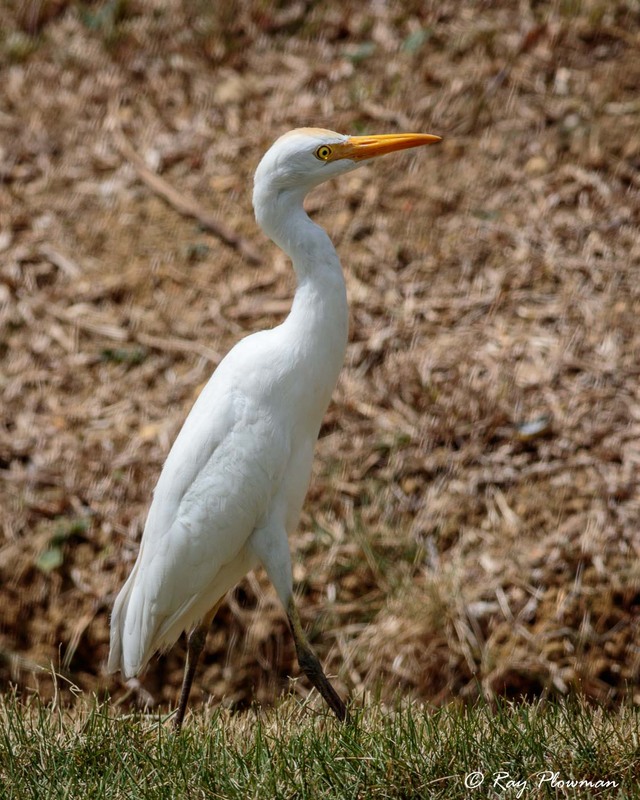 Two subspecies groups of cattle egrets are recognised, eastern and western. 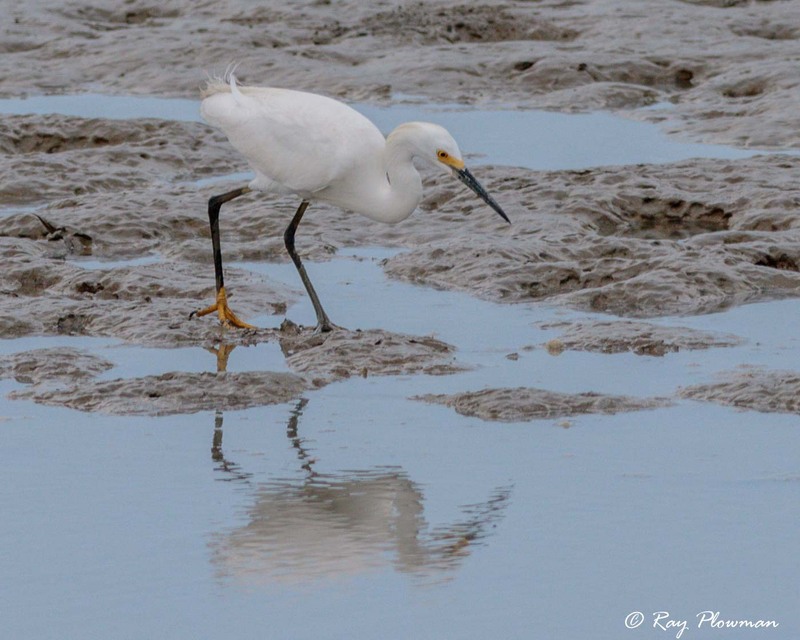 The gallery features western egrets in breeding and non-breeding plumage. 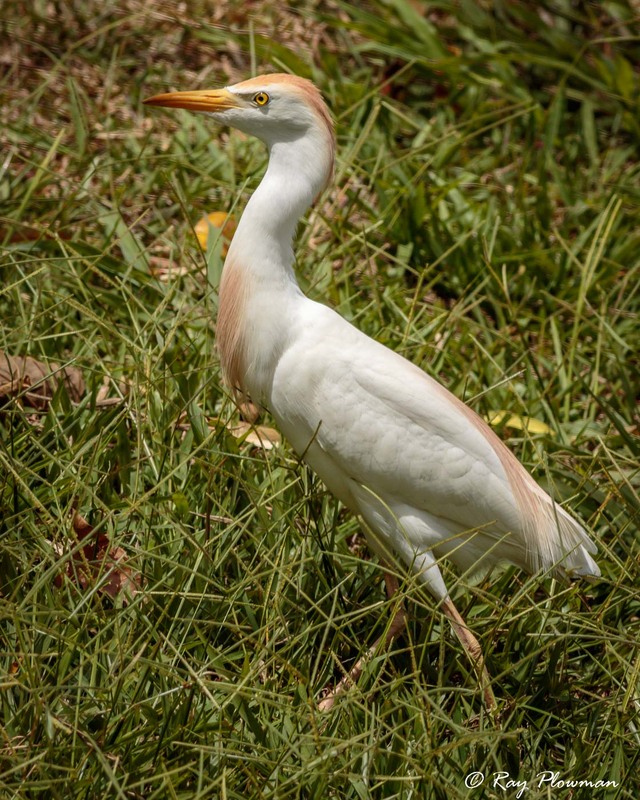 The behaviours page features an eastern cattle egret in breeding plumage. 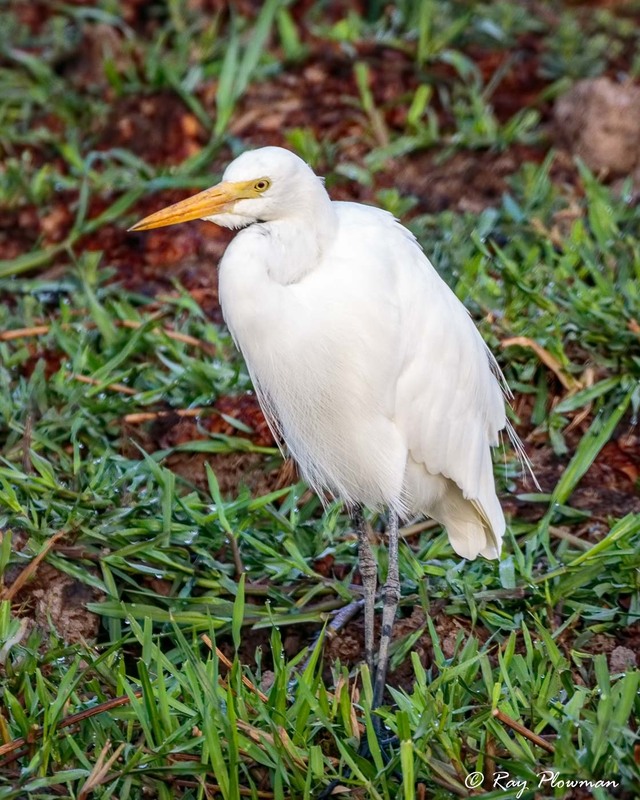 The great white egret (Ardea alba) is a cosmopolitan species with four subspecies being recognised: Western great egret (A.a. alba), eastern great egret (ssp modesta), African great egret (ssp melanorhynchos) and American great egret (ssp egretta). 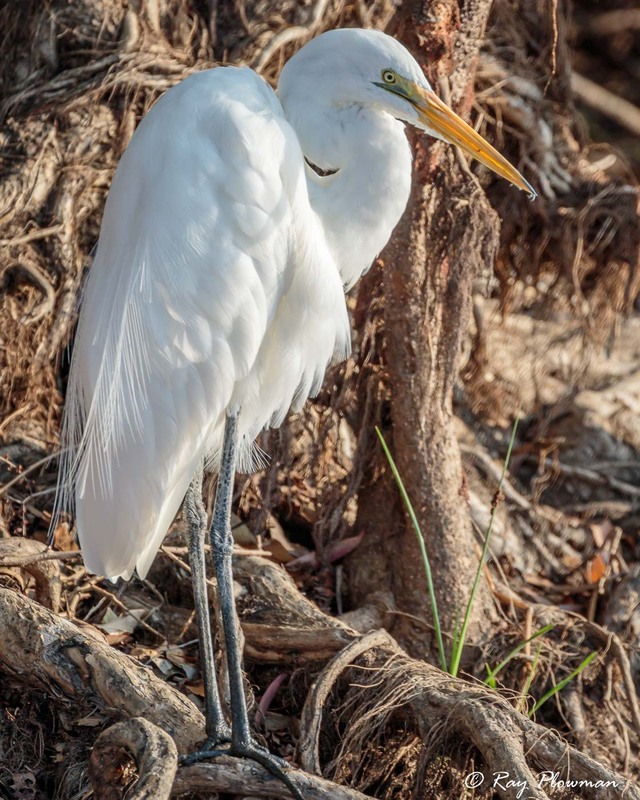 Two eastern great egret images are displayed in the gallery. 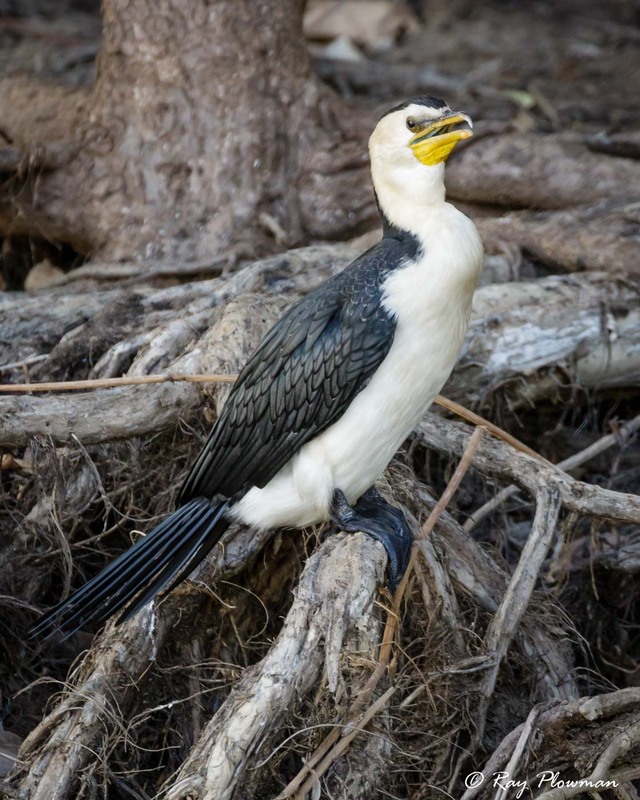 The non-breeding adult has a yellow bill and the other was photographed in the breeding season with a black bill. 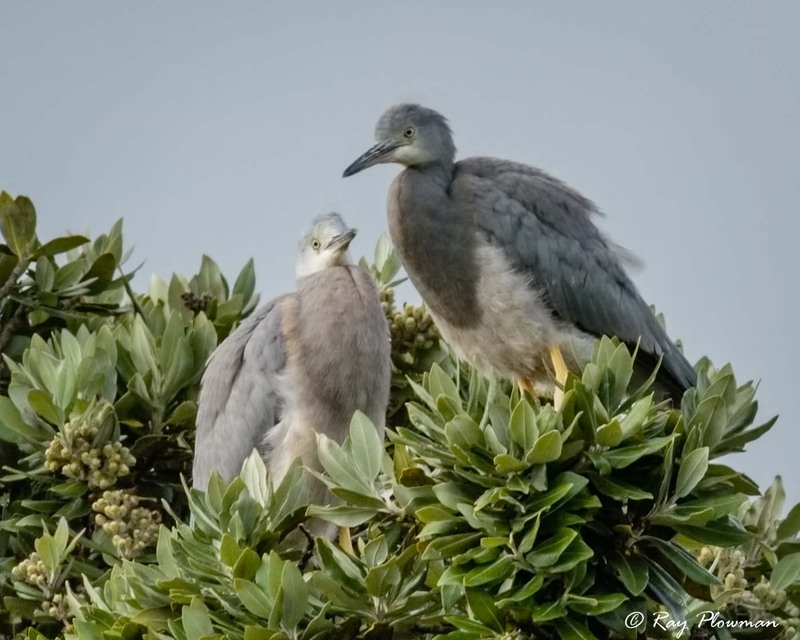 Self-introduced in New Zealand from Australia the White-faced heron (Egretta novaehollandiae) is now a commonly seen resident. 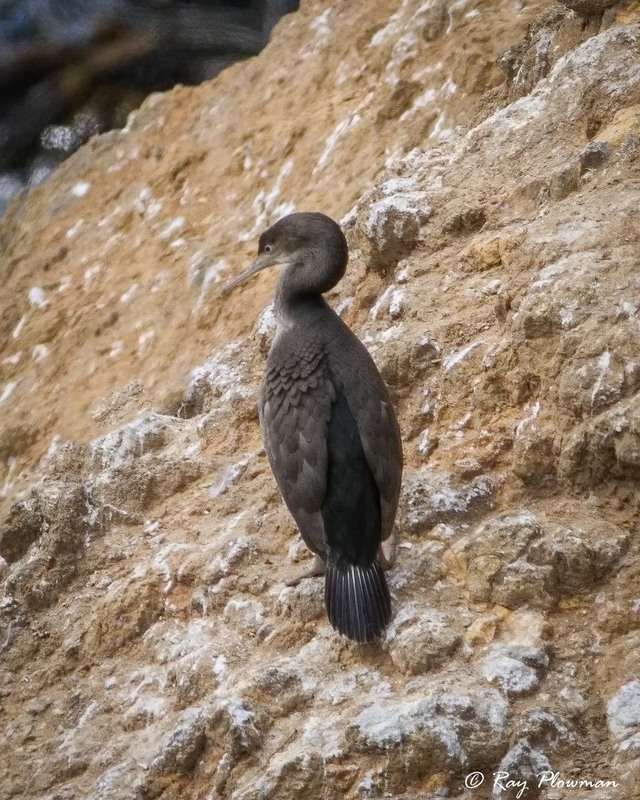 I came across this species on both the north and South Island hunting on the shoreline. 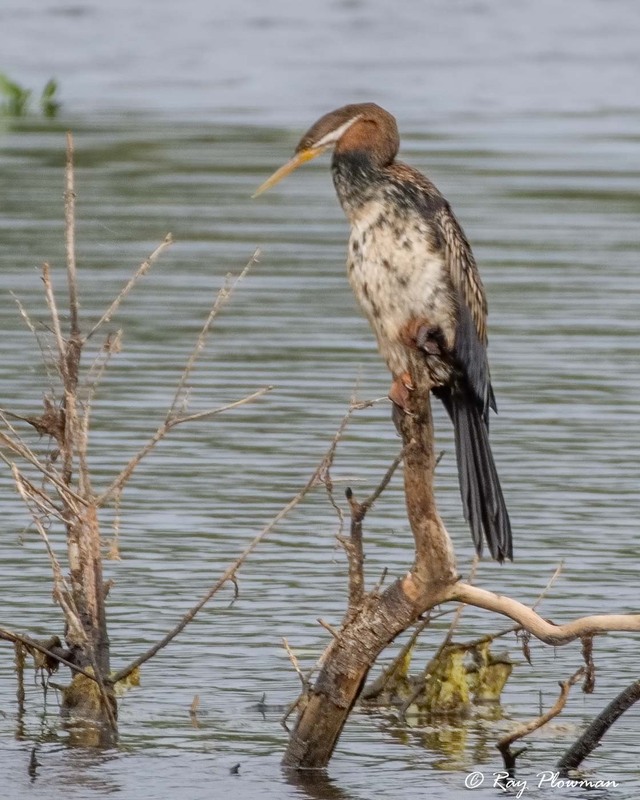 Both bitterns that feature in the gallery exhibit plumage dimorphism. 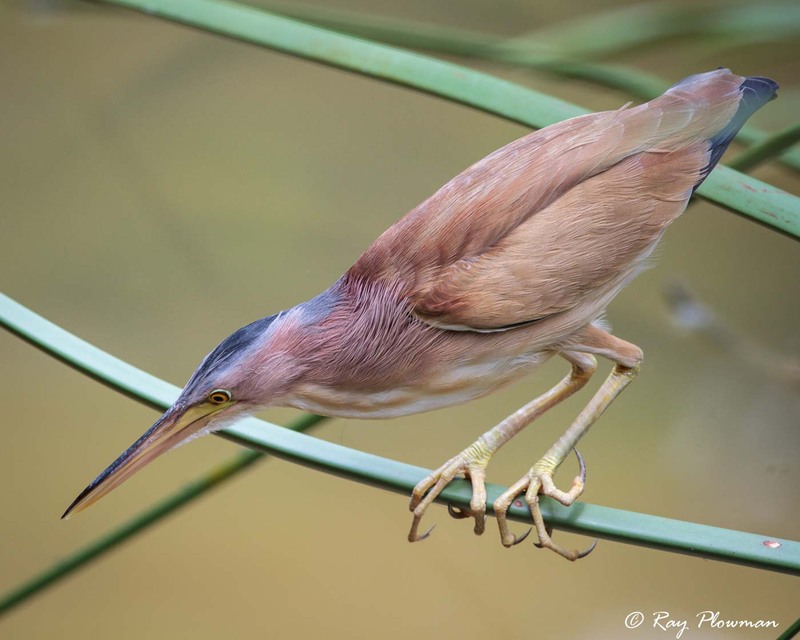 The male yellow bittern (Ixobrychus sinensis) is a uniform dull yellow above, buff below with a blue-grey crown while the female has a streaked brown crown, neck and breast. 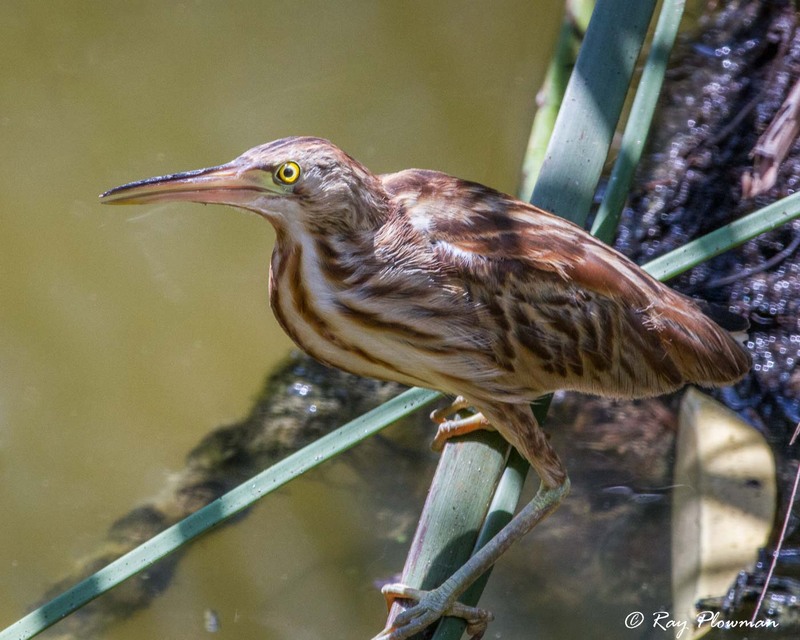 A female Schrenck’s Bittern (Ixobrychus eurhythmus) or Von Schrenck’s is featured. 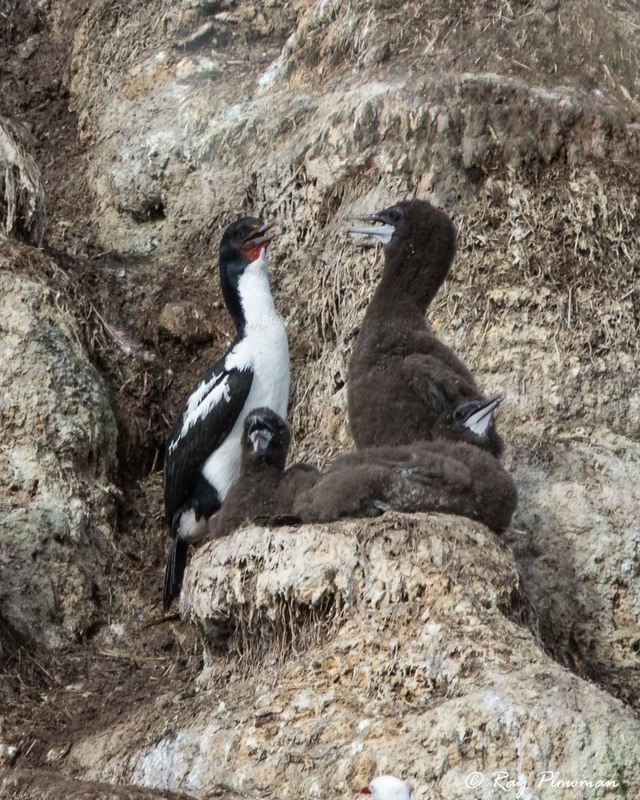 Apart from the Stewart Shag which is currently ‘Red List’ assessed as ‘Vulnerable’ all other featured species are assessed as ‘Least Concern’. 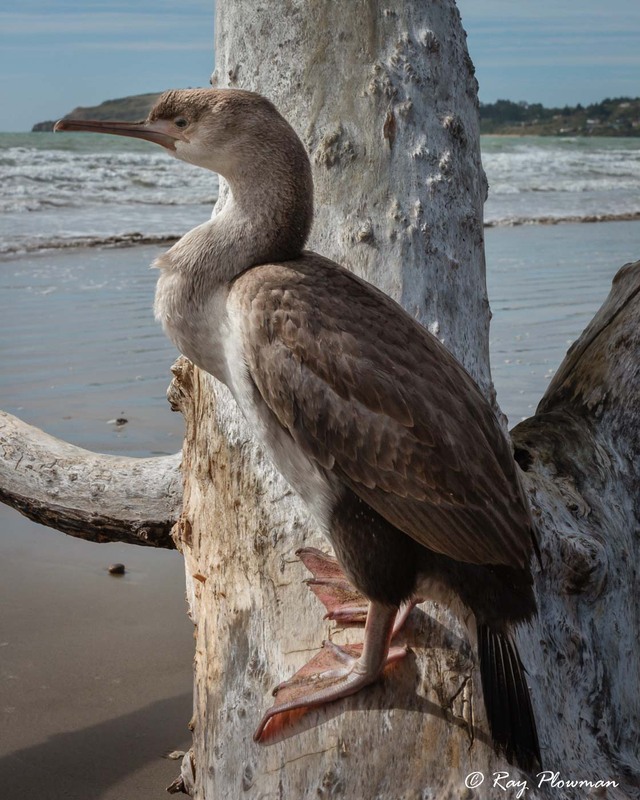 Photographed in Australia, New Zealand and Trinidad. 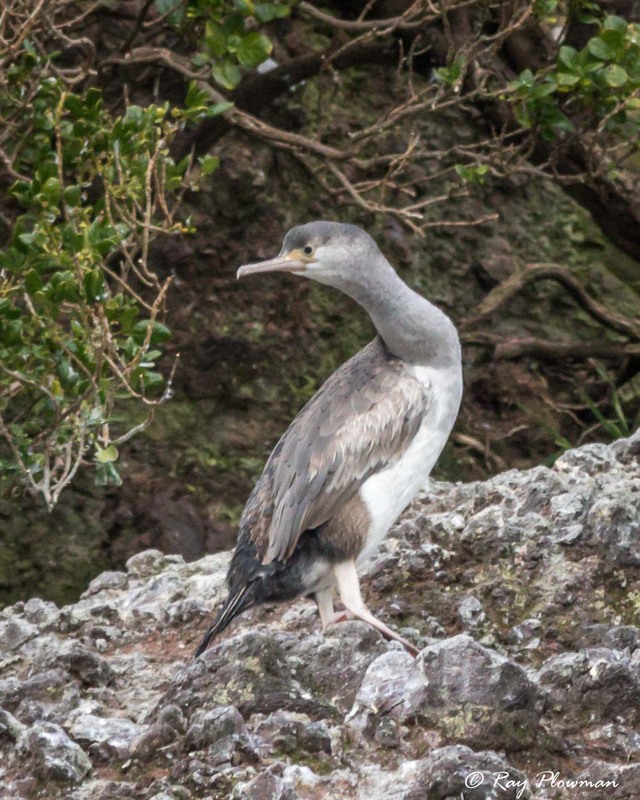 The Stewart and spotted shags are NZ endemics. 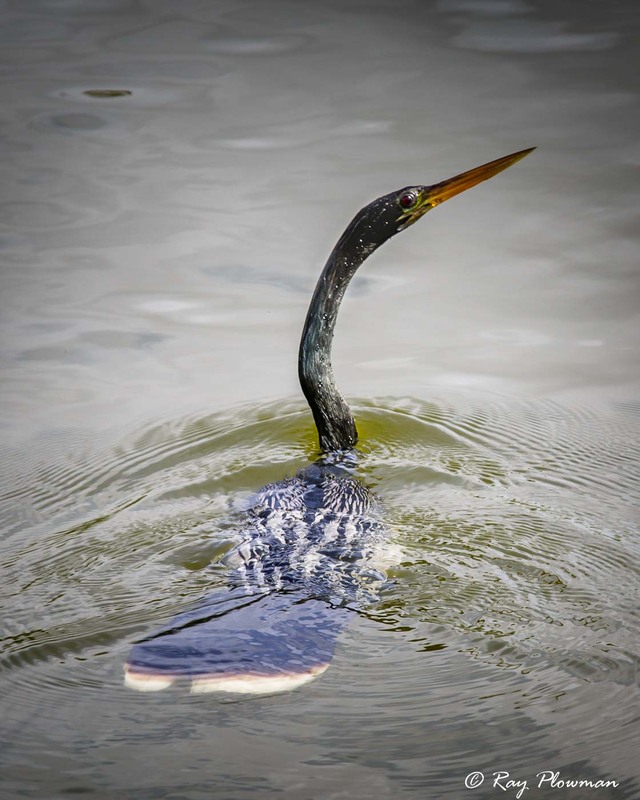 Anhinga and cormorants including shags are medium to large birds that do not have waterproof plumage, so they sit low in the water, the lack of buoyancy allows them to dive deep in search of prey. 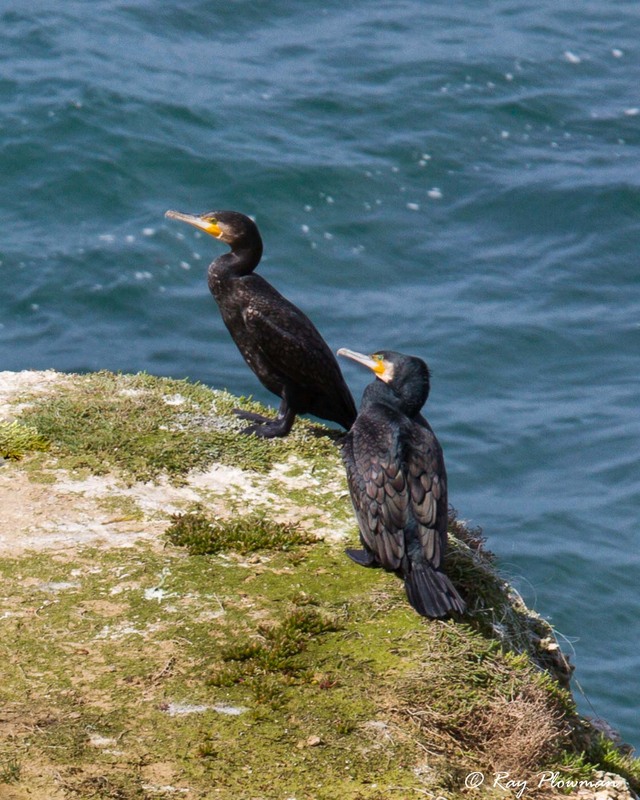 Cormorants are usually found in groups while shags are more solitary coastal birds. 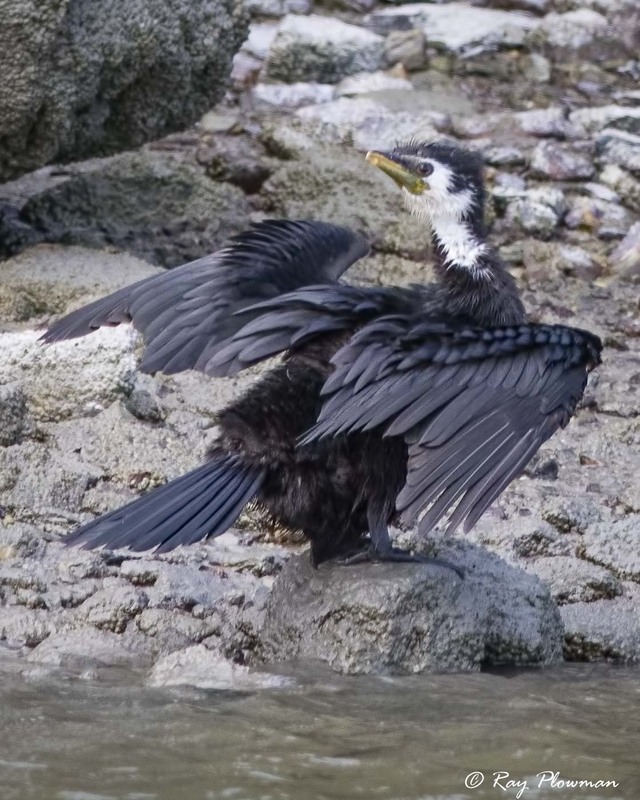 The little pied cormorant nominate species (Microcarbo melanoleucos) is found in Australia and Wallacea while subspecies M. m. brevirostris is found in New Zealand, common name little shag. 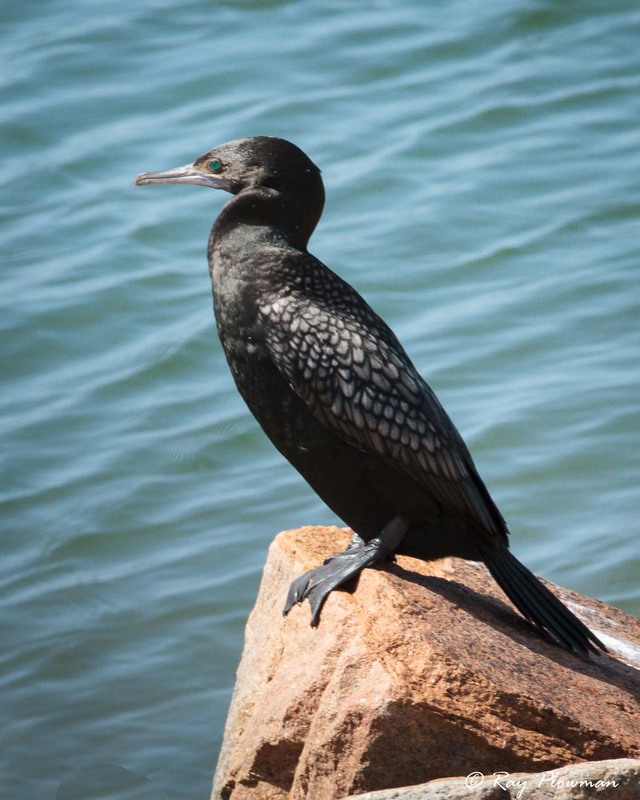 Little shags have variable plumage including black (dark morph) and white-throated morph as featured in the gallery. 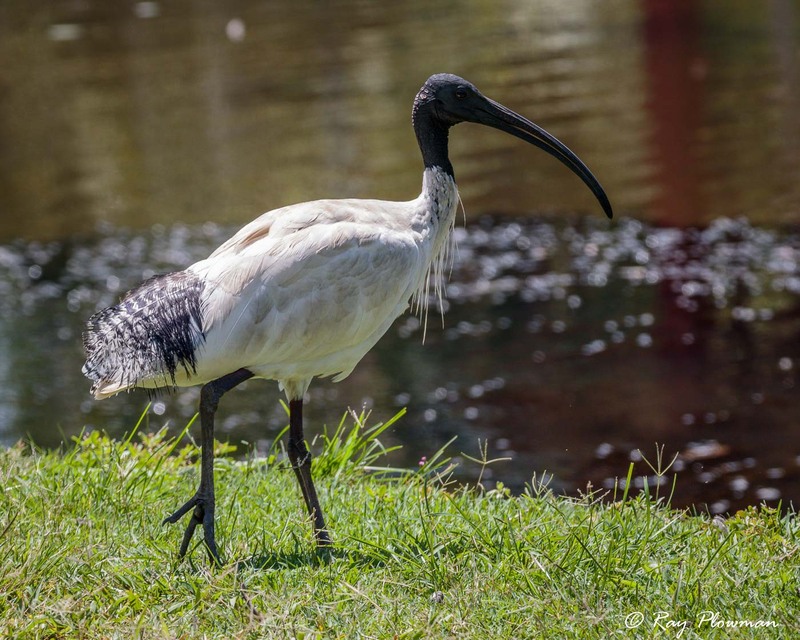 All featured species are currently ‘Red List’ assessed as ‘Least Concern’. 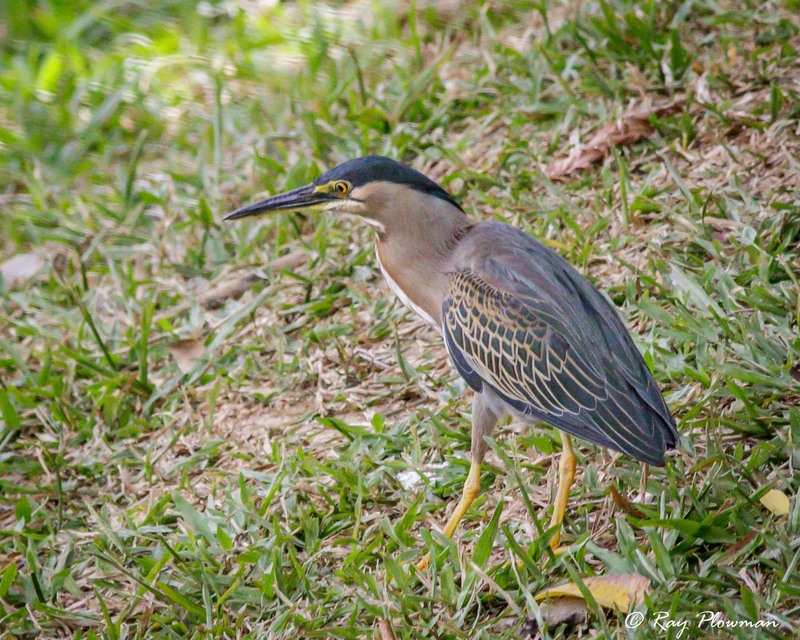 Photographed in Australasia and Trinidad. 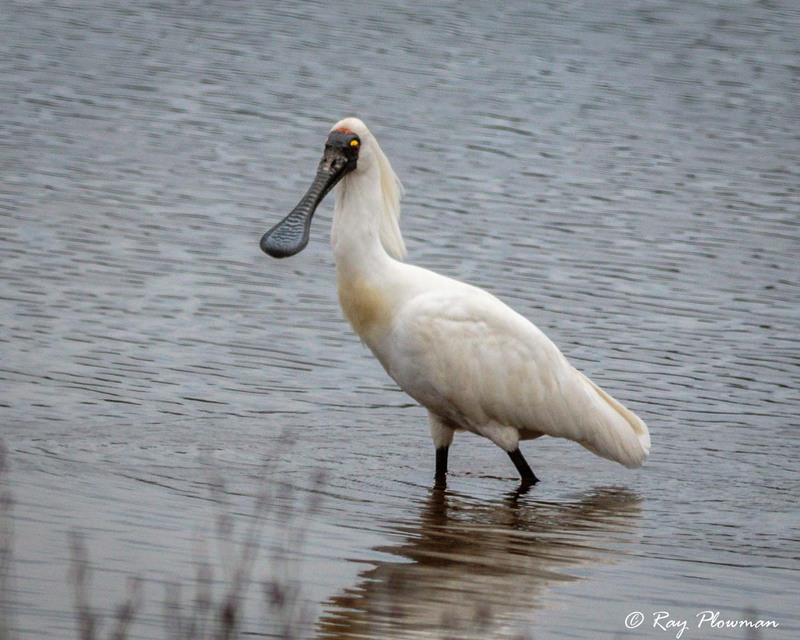 The yellow-billed spoonbill is an Australian endemic. 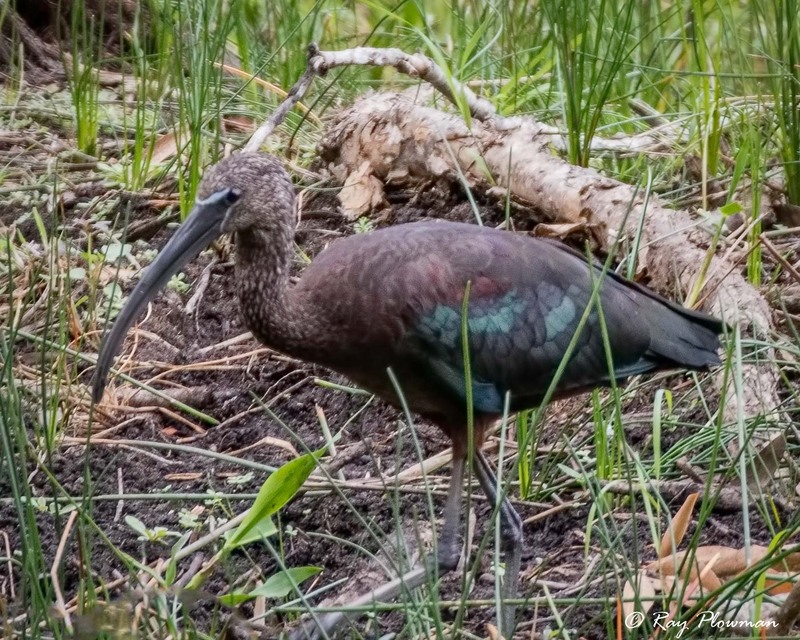 These are large birds that exhibit size dimorphism males generally being larger than females. 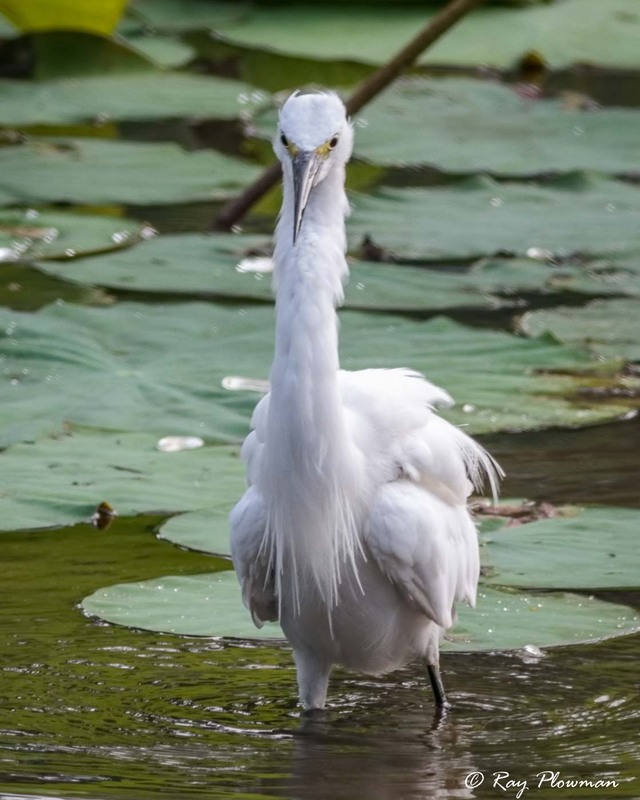 Taxonomic order and families for pelicans and their allies featured in the galleries follow HBW and BirdLife International checklist: Pelecanidae (pelicans), Threskiornithidae (ibises and spoonbills) and Ardeidae (herons, egrets and bitterns) families are placed in Pelecaniformes order. 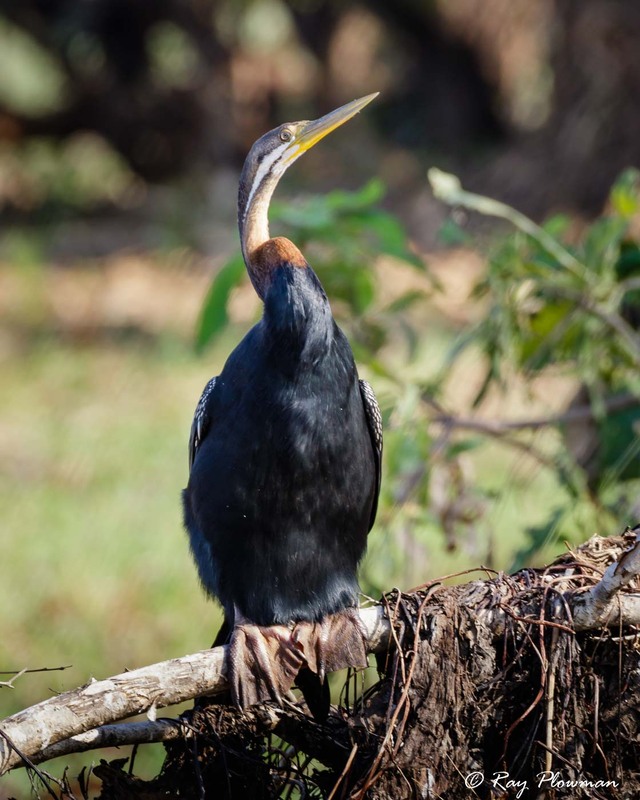 Suliformes order includes Phalacrocoracidae (cormorants) and Anhingidae (darters). 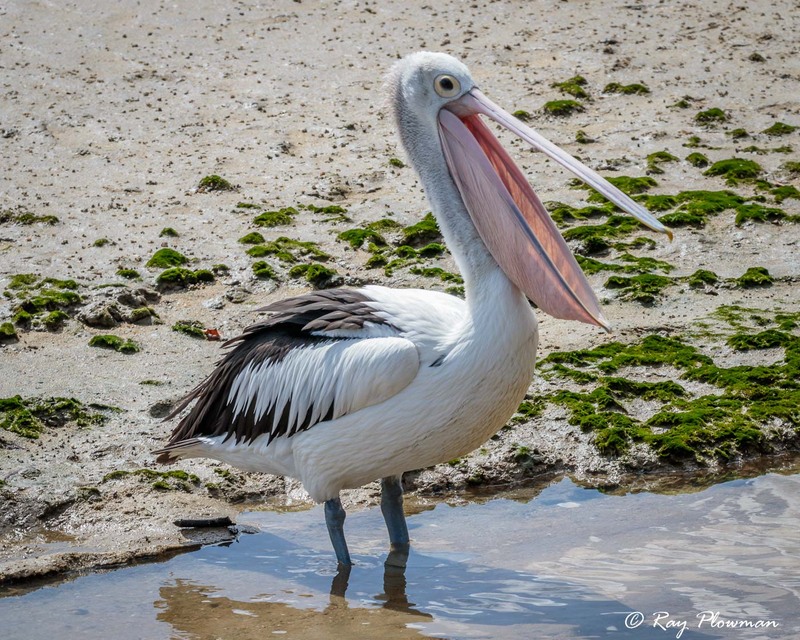 Although not generally considered as pelican allies I’ve included two additional families. 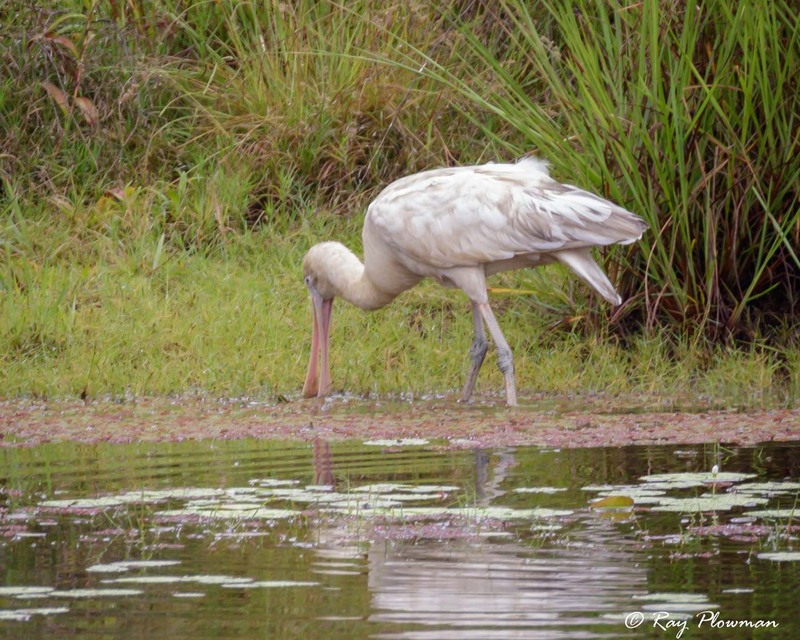 Ciconiidae (storks) Ciconiiformes order and Phoenicopteridae (flamingos) Phoenicopteriformes order. 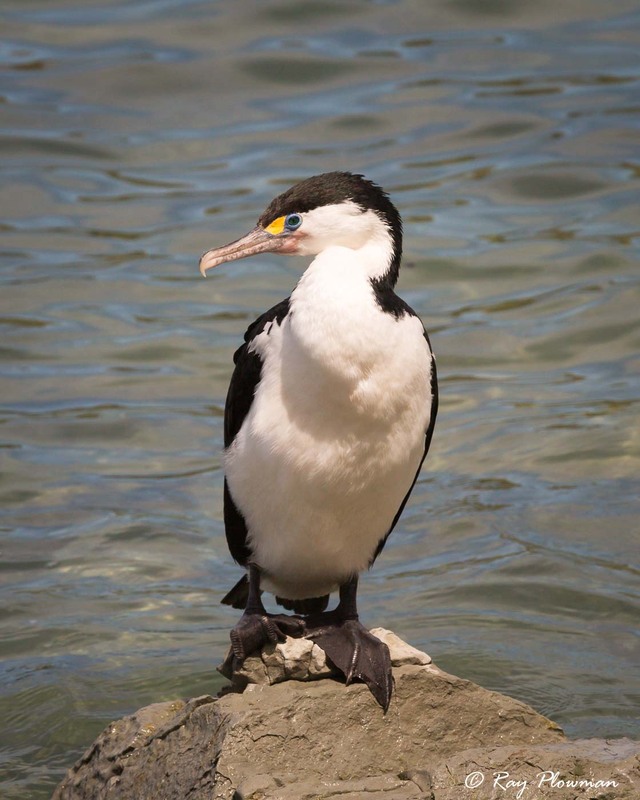 Phaethontidae (Tropicbirds) placed in the Phaethontiformes order are often considered to be a pelican allies but as they are pelagic I include them in the Non-Passerine Seabirds section.